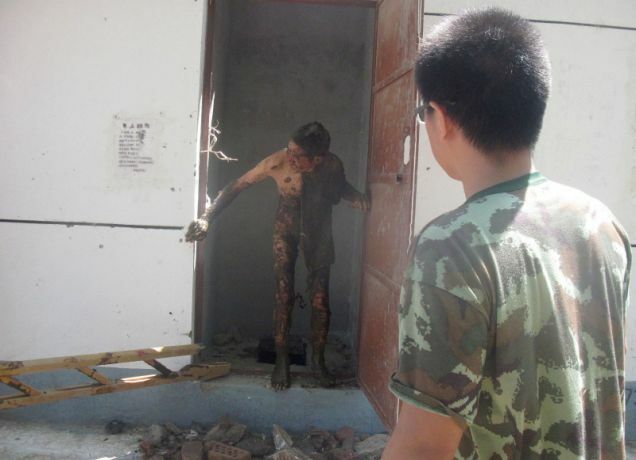 A Chinese man’s luck hit rock bottom when he got stuck in a poo-filled toilet pit for two days. He didn’t deliberately enter it, though, he slipped down there. Then, naturally, he yelled desperately to be rescued – but to no avail. It was a full 48 hours before the now very whiffy man, from Wuyuan County, Inner Mongolia, was liberated. A passerby heard his pleas for help and called the emergency services. Whether nose pegs were used, we don’t know, but fire-fighters lowered a ladder down to the hapless man and pulled him out. Needless to say, the first thing that he did was rush off and have a wash, in a nearby pond. It turns out that his family had in fact reported him as missing to the police. He would now certainly seem to be in the running for the title of 'person stuck in the most unpleasant place for the longest'. However, he'll have stiff competition from the woman who fell down a manhole. If he doesn't win that, he's certainly in with a shout for the world's smelliest man crown.